Got the time? Unique Locksmiths’ are Chingford’s watch repair experts. Whether you require a replacement battery or strap, scratch repair or a service for your watch, we can get your watch keeping good time once more. We undertake repairs for all makes and models. We can usually replace batteries and straps while you wait. 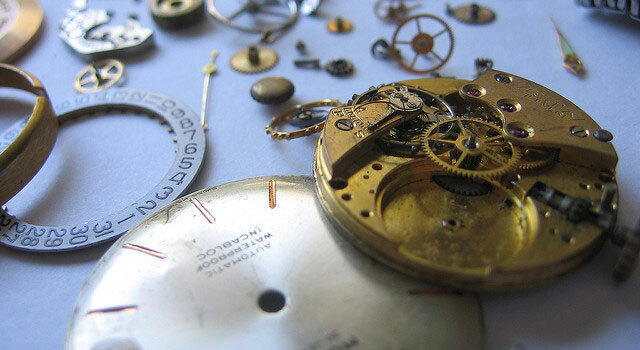 If you require more extensive repair work for your watch, we can offer you a free estimate without obligation. The prices we offer are very reasonable, though we will not compromise on quality. All repairs are carried out using parts chosen for their quality and durability, ensuring long lasting repairs. Our watch repair services come highly recommended throughout Chingford. To find out how we can help, get in touch or come and see us at our shop.